Constructed with 420 stainless steel and specially designed double worm, our corkscrew can cleanly and efficiently remove any natural or synthetic corks in only 5 turns with no breakage. There's a huge difference between our product and look-a-likes that are built with low-quality materials, break corks, and simply don't work. Fine textured ebony wood handle accents the solid stainless steel construction of our wine key. 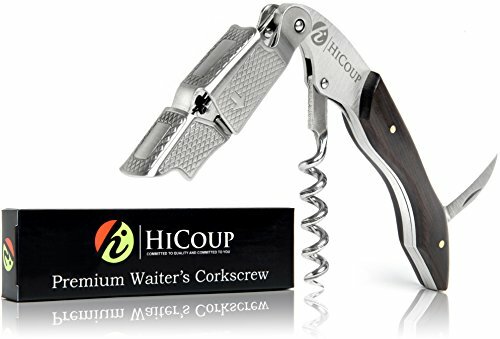 The ebony wood handle is not only durable and resistant, but also combines masterful woodwork and gleaming metal to product a uniquely perfect corkscrew that stands apart from the rest. Nothing else compares! Unique double-hinge fulcrum that provides extra leverage and smoother pulling of even the longest corks. 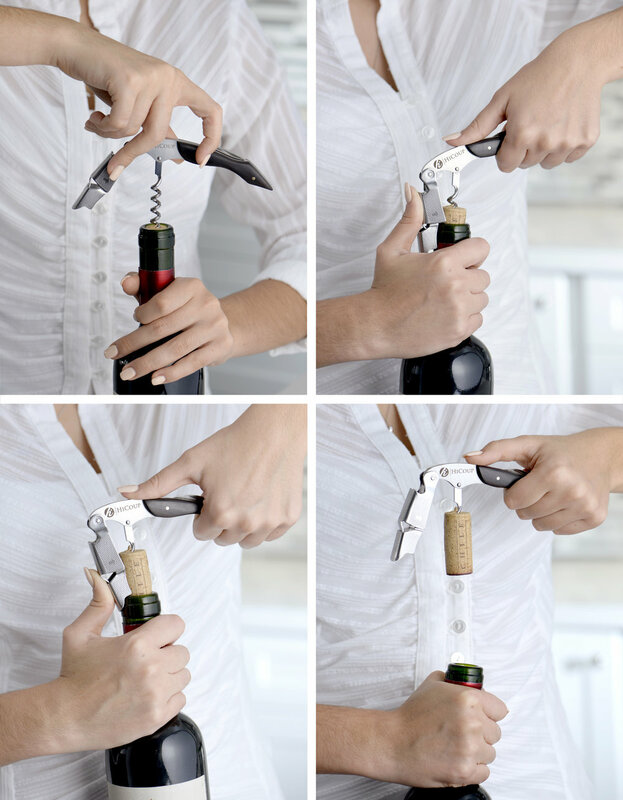 This wine bottle opener makes it easy to pop those corks! Stop struggling opening that wine bottle and start sipping sooner with our sommelier inspired corkscrew. Multi-function tool that eliminates the need to purchase other gadgets. Our affordable corkscrew elegantly blends the features of a wine corkscrew, bottle opener and foil cutter all together in a stylish and durable stainless steel body with a comfort-grip ebony wood handle. NOTE - IF THE FOIL KNIFE IS DIFFICULT TO OPEN, SIMPLY APPLY A LITTLE BIT OF OIL AT THE KNIFE'S HINGES TO LOOSEN IT UP. THIS WILL USUALLY DO THE TRICK!